The Pro-Life movement is perhaps one of the greatest ecumenical tools of this century. Evangelicals who have shared jail cells with Catholics. 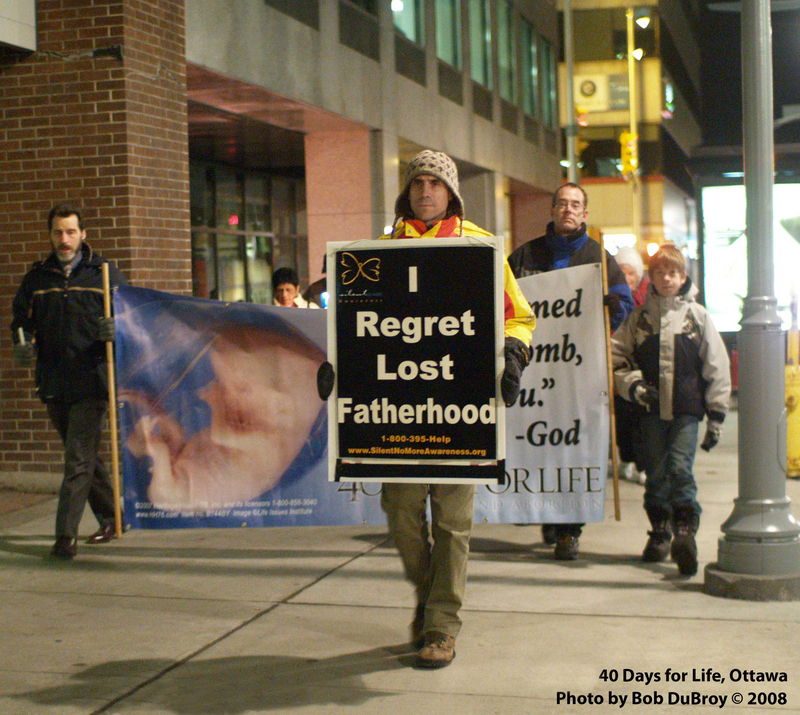 They were jailed for standing outside abortion mill clinics. It is there that Evangelicals have come to see Catholicism at its best - Christ in action. They often become lifelong friends. Our prayer is that more Evangelicals will join this great social movement. I (Hugh) do not come to the Pro-life movement for some altruistic reason. I come through my own experience and suffering with this issue. I was climbing the ladder of success in the acting and performing world. I was not at all Christian back then. My girlfriend at the time was an actress who using an IUD for contraception but it didn't work and she became pregnant. We both felt we could not go through with the baby because our careers were just getting rolling. I felt I was being very responsible and loyal boyfriend for helping pay for the abortions. I went down to the clinic with her. I read magazines in the waiting room, waiting to escape from the responsibility of being a father. She came out of the room, a changed person. She tumbled into an intense depression. I tried to avoid the pain and dove harder into my career. Soon after that, I was cast in a Broadway show called "Baby" about three couples where the wives/girlfriends were pregnant. It was the only Broadway show ever to cover the topic of pregnancy in such detail. I left the show before rehearsals to do a TV series for NBC called "Flashdance." The series was cancelled and the actor who replaced me in "Baby" was nominated for a Broadway Tony Award for the role I gave up. The cast album is here. I now understand that my subconscious would not let me do a show about becoming a father when I had just aborted my own baby. I did not learn my lesson. Soon after that I met a woman who was a doctor (M.D.). She was also being considered to become an astronaut. She became pregnant even though she was on the pill (it shows that contraception doesn't work). We agreed that it was an inconvenient time to have a baby because we were "building our careers." We aborted the baby. We were not "potential parents," but rather we truly were parents. The decision was not whether we become parents or not. The decision was "what do we do about the fact that we already are parents?" We didn't understand this fundamental misconception. 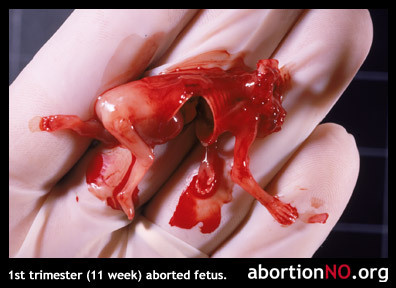 Although my girlfriend wanted the abortion also, the moment she was on the operating table and the doctor was using a suction machine to remove the parts of our baby, she had a powerful urge to say "put that back!" It was devastating to her emotionally. No amount of medical training could explain away the emptiness. There was no explanation for this emotional tumble, except that we had done something horribly wrong. Nothing could cover her motherhood. After the abortion, an emptiness swallowed me. Like many couples who have abortions, not long after it we broke up. My soul was calling out against what I had done to my child. My spiritual emptiness was clear in the song. The darkness surrounded me. I've since learned that many couples break up after an abortion and very often both the man and woman go into the emptiness of depression. I was the Rock & Roll Cat for the US National tour of "Cats." I fell to 115 pounds and I was supposed to be playing the cool Rum Tum Tugger - Rock Star Cat. I looked like hell, the devil had me. I had an eating disorder, anorexia. I got very sick with a sore throat. The doctor told me not to talk for three weeks. I was cocky and said "Hey, I have 10,000 people a week and an $80,000US/year starring role. I can't stop singing." He said "well then, do what you want!" I kept singing. I blew my voice out completely, lost the show and drifted into depression. Director/choreographer Kenny Ortega (who did Madonna's "Material Girl", and "High School Musical", etc.) called me up to tour with Madonna, MTV called me to audition as a VJ, but I was done, I had no voice. There I was alone with my miserable mind and it was relentless - never stopped. I couldn't talk except for 10 minutes a day. I communicated with a pen a paper. I was 24. 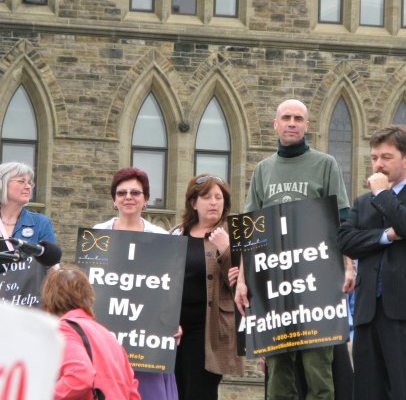 The reasons for the abortion evaporated with my career. I drifted into depression and the cycle of addiction. I left New York City and returned to Ottawa - physically and emotionally broken. I never rose again in the entertainment field, and the reasons for the abortion fizzled away and left me with the simple realization that I had committed murder against one of God's beautiful children - my child. God is a forgiving God and he has freed me of the guilt. But he is also a just God. He showed me clearly the severity of what I did and what it cost me. During a trip to the Holy Land in 2008, I went to the Church of the Annunciation in Nazareth, the pilgrimage site where tradition holds that Mary said "yes" to the Archangel Gabriel (Lk 1:26). While praying quietly, I experienced a rare moment, where I believe the Mother of Jesus, invited me to pursue marriage with Diane. It felt so good to finally admit I was in love with Diane from the depth of my being. But it confused me, because I had a busy touring schedule. I was on and off planes, and I was living a single celibate life which I thought was supposed to be my path. However, several months later, after playing in Australia for World Youth Day, I re-injured my voice during concerts in India. My ministry came to a halt. I returned to Canada. My love for Diane grew and grew. I couldn't escape it any longer. It turns out she was having similar feelings, and her prayer life and dreams were leading her to the same place. I proposed during a "life and family" weekend and after a 15 month engagement, in which we stayed chaste and lived the teachings of the Church on matrimony, we were married January 1, 2011. After 5 years of marriage God gave us a tremendous gift. We had an "au natural" pregnancy with no medical intervention, at this late stage in our lives. The obstetrician said in 35 years he'd never seen an "au Natural" pregnancy at this age. We have a beautiful and healthy daughter "Adessa Marie". Two organizations that have helped me are Rachael's Vineyard, and Silent No More Awareness Campaign. I encourage anyone who has experienced the trauma of abortion to contact these organizations. Rachael's Vineyard is a healing retreat, and Silent no More is an opportunity to witness to others, helping them not to make the same mistakes.